savingthewild.com » Rhino massacres – Can Ezemvelo handle the truth? Hluhluwe-iMfolozi Park is split up into five sections, each led by a section ranger, and the Masinda section in the south is by far the weakest link. According to Ezemvelo Rhino Security reports, last month at least 12 rhinos were found dead in the Masinda section, with carcasses six months and even older. iMfolozi reports six white rhino found poached in the Masinda Section. One estimated to be about one week old. Three estimated to be about three weeks old. One estimated to be about six months old and one older than six months. iMfolozi staff have reported six white rhino carcasses found poached in the Masinda Section. All have had horns forcibly removed and stolen. All scenes are old carcasses ranging from about three to five weeks old. Devastated rangers working at Hluhluwe-iMfolozi Park have told me in the strictest confidence that rangers in the Masinda section have seen poachers stalking rhinos, and they were told to stand down. Right before their eyes, they have seen rhinos shot dead, and they did not react. Contradictory to this, police members that attended the scene of the crime reported that four dead rhinos were found suspiciously in the same section. Poachers used axes, and all four cuts were the same method. Even the bullets were similar, indicating they were the same poachers. It was a .375 – not a 303. It is extremely unlikely that none of the Masinda rangers at the observation point saw or heard anything, as they claimed. The following month, during the 2016 September World Rhino Day massacre, most of the rhinos were slaughtered in the Masinda section of the park. Poachers were so brazen that they took time to put logs under the heads of the dead and dying animals before they butchered their faces, as if they had all the time in the world, as if they knew no one was going to stop them. Once nicknamed by his peers, ‘Rhino Cop’, nowadays Ezemvelo’s Hluhluwe-iMfolozi Park Manager Jabulani Ngubane – who doesn’t even live in the park – works under a cloud of suspicion. Mbuso Ngubane, the half-brother of Jabulani Ngbune, pleaded guilty to conspiracy to hunt rhino after he was arrested in 2014 while transporting poachers to a private Zululand game reserve. (CAS 17/06/14) Magistrate Ngcobo “punished” him with a R35 000 (US$2700) fine in the Mtubatuba court, no jail time. He was represented by Ngwenya, the original defense attorney of the alleged rhino poaching kingping of Zululand, Dumisani Gwala. Both Ngwenya and Ngcobo are currently under investigation for allegations of corruption. There are unconfirmed reports (informers that will not go on record for fear of their lives) that Jabulani Ngubane was seen circling the poaching meeting before the hunt began, and was recognisable by the scar on his neck. Many people at the scene of the crime say Mbuso was unashamedly dropping his brother’s name in order to avoid arrest. Until recently “relocated”, the section ranger of Masinda was Benjamin Myeni, a relative of Jabulani Ngubane, according to many people that worked with him. Others believe he was given that post in lieu of the pyramid scheme loss. The feeling on the ground, by both rangers and police officers in communication with Saving the Wild, is that the recently “relocated” Masinda section ranger may not have been corrupt, but it is possible he was put there to fail. It makes no sense to his peers that someone with so little experience was given such a senior position. For example, there have even been scenarios where he ignorantly assumed a rhino died a natural death because the animal was found with a horn, never considering that the rhino was wounded by a bullet, ran away, and died later of injuries. Last year the total loss to KwaZulu-Natal (KZN) private parks was just 7, compared to 155 rhinos killed across state parks. Polygraphing is not the silver bullet, but it is a necessary weapon in the war chest when it comes to protecting South Africa’s natural assets. 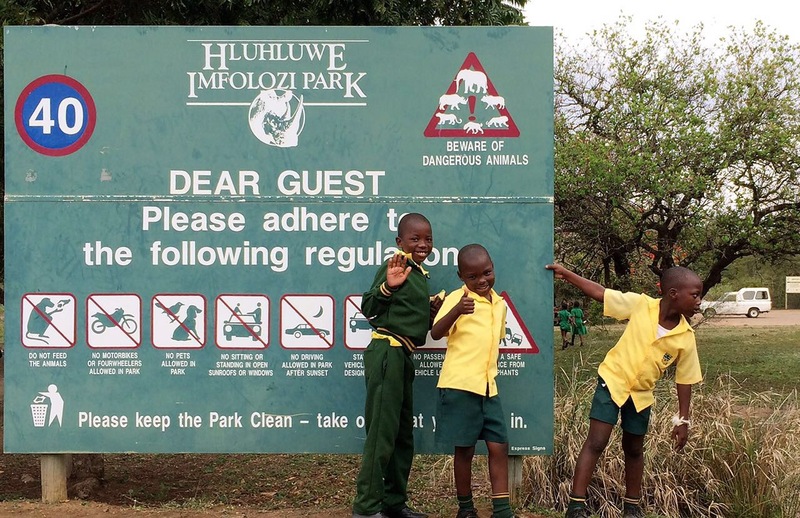 A few months ago, Hluhluwe-iMfolozi Park rangers were stopped by local police in Mkuze town. Information came through that they were working for an alleged syndicate boss known as “Mr Big”, carrying weapons and planning to hunt rhino at a private park. The informer said there was a .375 in the vehicle, and the police were paid off R30 000 to make the weapon disappear. Gate security at HiP is compromised. Visitors get allowed entry if they drop the names of employees working inside the park, and a lot of the time Ezemvelo employee access cards do not work, and so the security just waves them through, whoever they may be. On Christmas Day alleged rhino poachers from Mpumulanga paid a security woman at the Memorial gate a meagre R200 (US$15) to enter illegally. How many rhinos have died because Ezemvelo staff and contractors were not put through a polygraph? We will never know. Ezemvelo can blame budget cuts, and then in the next breath claim they are ramping up resources in the fight against poaching. They can give false hope and claim they are making arrests – but arrests mean nothing without convictions – and the conviction rate in KZN state parks is close to zero. 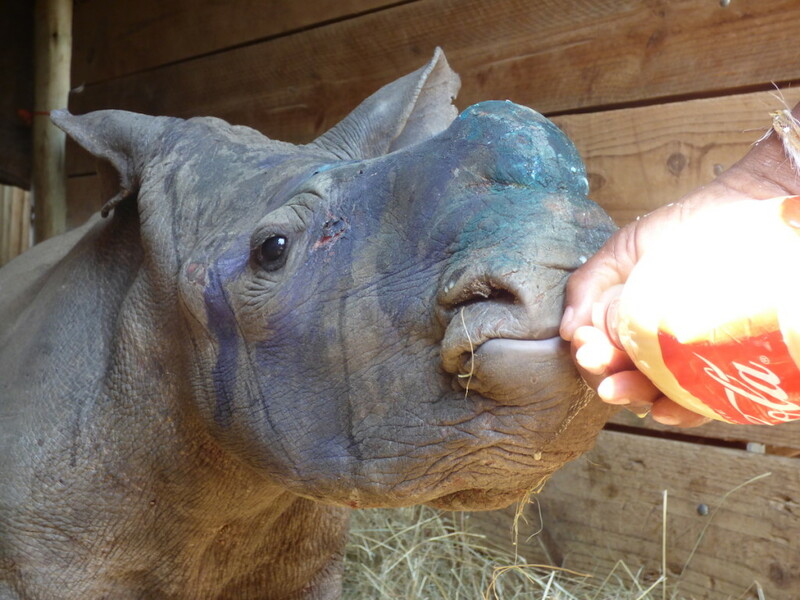 Until Ezemvelo removes the rot – until they introduce polygraphs – rhinos will continue to die when they could have been saved. And to save ourselves we need to save the rhino. The human element of this war can no longer be ignored. Thousands of employees are counting on tourism and a healthy ecosystem to support their families. But with rhinos fast disappearing, poachers are now turning their attention to elephants. The domino effect of losing two of the Big 5 because of the horrendous demand for rhino horn and ivory in Asia, and South Africa’s lack of political will to hold the line until the demand is stopped, will ultimately result in a collapse in tourism industries, job losses, poverty and conflict. 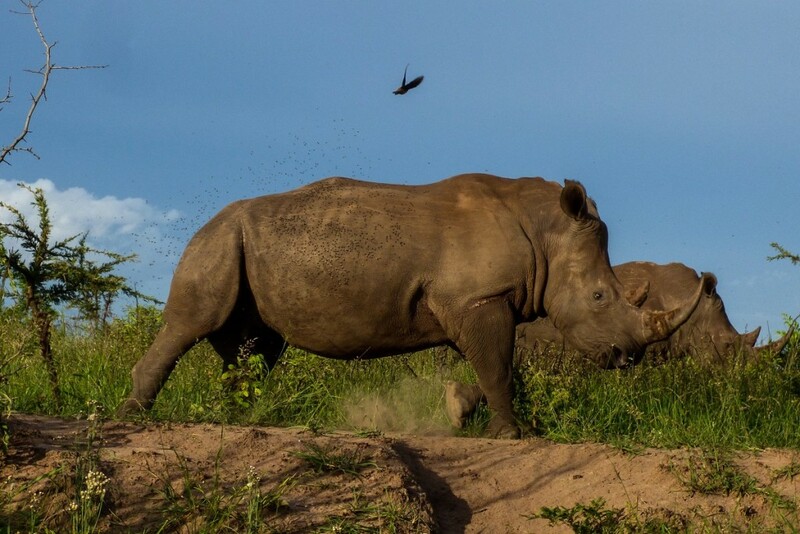 Whether it be corruption, or gross negligence and maladministration, senior management of Hluhluwe-iMfolozi Park is failing spectacularly to protect South Africa’s rhinos. The writing is on the wall. But can Ezemvelo handle the truth? Join the fight for justice on Saving the Wild Facebook and Twitter. I am the founder of Saving the Wild, and the guardian of the ‘blood rhino blacklist’. This is no secret, and I have already exposed two magistrates and two defense attorneys I have claimed are working for the ‘Gwala Syndicate’ headed up by the alleged rhino poaching kingpin of Zululand, Dumisani Gwala. 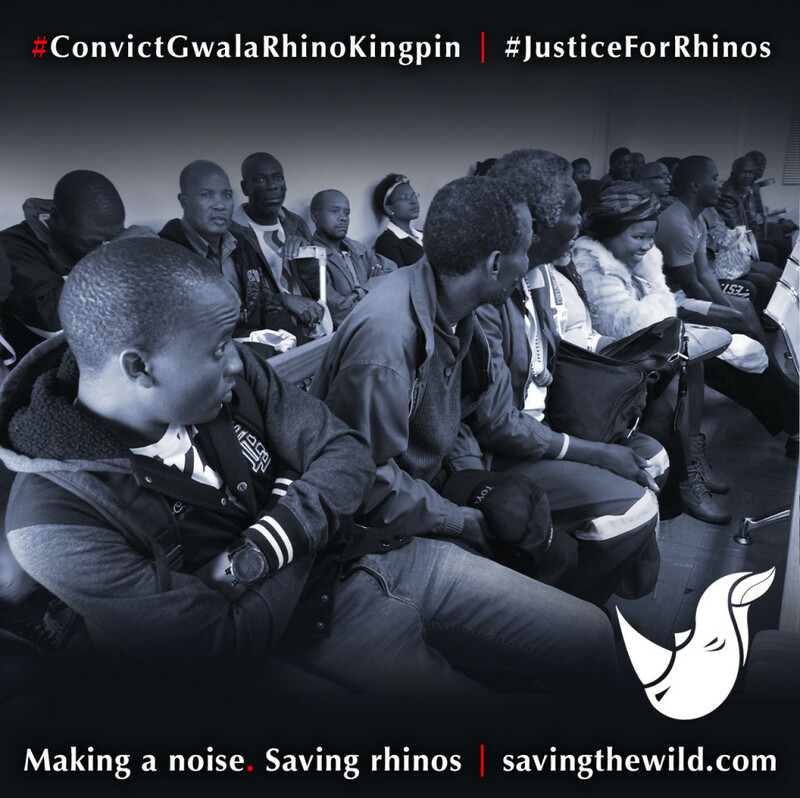 Since Gwala’s arrest in December 2014 for dealing in rhino horn and attempted murder of a police officer, there has been a slew of delays, at least 16 delays since the start of 2016 when I began attending court appearances, and on 9 October the state will bring forward an application for the recusal of Magistrate Shandu. The Magistrates Commission, the National Prosecuting Authority (NPA) and senior members of police are all aware, and have been aware for a very long time, that I am in possession of reliable unpublished evidence, beyond reasonable doubt, that this case is a cesspit of corruption.